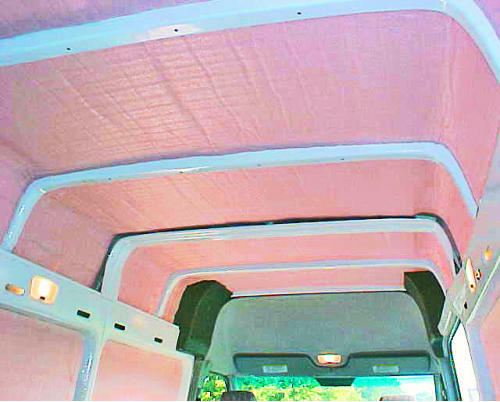 This product can double both the heating and cooling efficiency of your vehicle no matter what the climate you operate in. This insulation material mounts directly to metal surfaces. 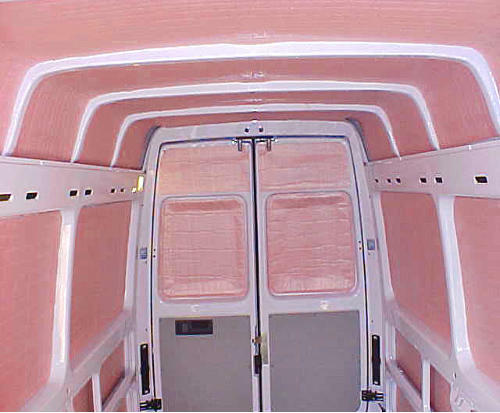 Mounting directly to the metal skin surface will also provide excellent noise attenuation, cutting levels by more than half and therefore improving general conversation conditions. It is manufactured with 100% of backside surface adhesive not strips, for ease of installation without the mess and fuss of spray adhesives. Overall thickness is 3/8" +/- consisting of 2 closed cell sections laminated to an aluminum center foil to maintain shape and van skin contour. It has an R-value rating of 38-R at ambient external temperature of 80F. Color pink. 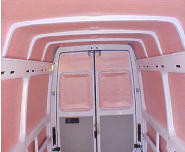 Packed in pre-cut kits which include all van panels except flooring and bulkheads. 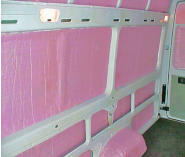 A hard wall liner (see wall liners) should be installed after the insulation to achieve maximimum thermal efficientcies. 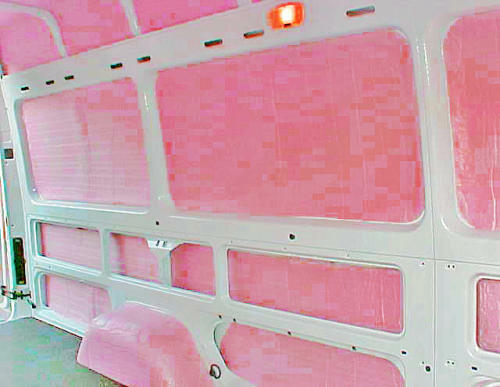 Insulation Kits are shipped within 5 days of payment. 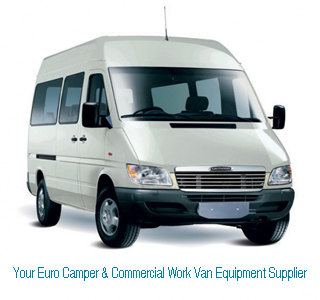 To make your vehicle specific selection and place your order.